Preciflex has developed a strong and exclusive partnership with HYT who challenged to merge fluids and mechanical watches together. H1 watch won the ‘Prix de l’Innovation’ at the Grand Prix de l’Horlogerie de Genève in 2012. When unique personalities ground breaking technologies, the impossible becomes possible, and utopia becomes reality. Meet the ultimate alchemists, the Fab 6, who have succeded in the incredible challenge of telling the time with water for the first time since the pharaons. 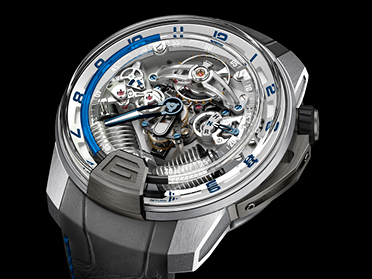 A jet-set oh Hydro-Mechanical watchmakers, pioneering a modern legend and making and breaking the rules as the helm of the HYT innovation incubator.